Being the subject of juvenile laughs from some English speakers for their unusual club name or past at the Wankdorf Stadium is of little concern to Young Boys of Bern. Being the biggest running gag in Swiss football was. Three decades without any honours were agonising for Young Boys’ passionate support, but amusing for fans of their rivals. The nearly men – the Swiss Schalke – finished as Super League runners-up six times in 10 seasons from 2007 to 2017 without ever winning the thing. These near misses – most notably blowing a 13-point lead in the 2009/10 title race – earned them a reputation for bottling. One of the jokes about them involved adapting the German verb verspielen – meaning to squander something – into veryoungboysen. A generation of Swiss football fans chuckled along to the fact you didn’t screw something up, you Young Boys’d it up. It seemed an apt question to ask Adi Hütter in his first press conference as Young Boys manager in 2015 whether he understood the term veryoungboysen. The current Eintracht Frankfurt coach confessed he did not. The man born a literal stone’s throw from the Swiss-Austrian border, but on the other side, admitted he didn’t like the sound of it and made it his mission to make its use redundant, as he recounted to Austrian broadcaster ORF. 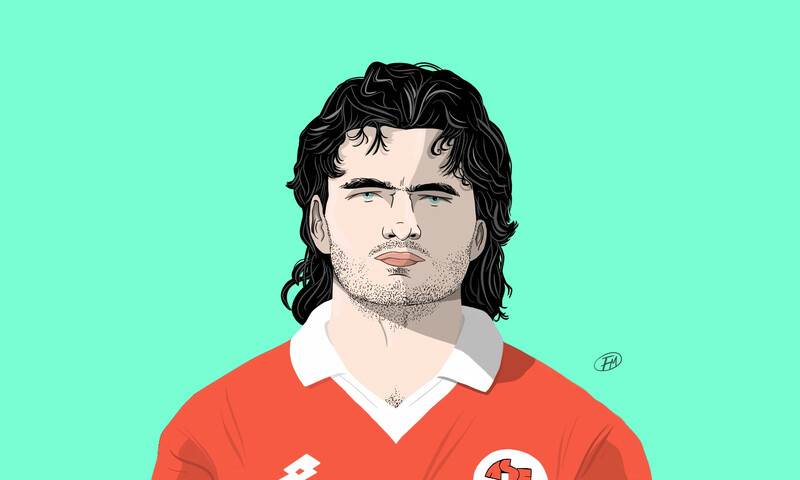 The sneers of Swiss football followers with long memories probably mattered even less to the dressing room. In a new departure for the club from the German-speaking capital, most of the players were French speakers. It soon became a squad under Hütter defined by its youth and hunger that sparkled with a fascinating selection of Swiss and African talents. When club captain Steve von Bergen and cult goalie Marco Wölfli lifted the enormous gold Swiss Super League trophy in May to mark the club’s first title in 32 years, there was a sense that these two senior players were also binning the jibes that had followed the club like a ball and chain in the past. That was just the start in many ways, though. Far from jittering under the weight of history, when Hütter left for Frankfurt in the summer, the foundations of success at the club have thus far been stern enough to survive the switch to a new manager, Gerardo Seoane. The foundations were also strong enough for the club to take its biggest stride on the European stage in 60 years by holding its nerve to see off Dinamo Zagreb in a decisive Champions League qualifier. In the kind of boisterous scenes you wouldn’t naturally expect of the home of Swiss bureaucracy on a Wednesday lunchtime, hundreds of fans descended on Bern’s airport to greet the team on their return from Croatia. How Young Boys got from A to B, from agony and anguish to brilliant and bold, is a tale that marks a victory for calmness, quiet ambition, perseverance and simply finding the right people. Adi Hütter’s unflappable and affable nature would prove to be a great virtue for the club, but spectacular results were not immediate. His first season in charge in 2015/16 saw the Yellow and Blacks improve their league tally with an extra three points to finish runners-up for the second successive year, but with a massive 14-point deficit to champions Basel. Backroom upheaval would ultimately see the right framework fall into place for Hütter’s tranquil charms to work wonders. Sporting director Freddy Bickel was forced out of the club in a power struggle in September 2016 that festered from the club’s owners, brothers Hansueli and Andy Rih – the latter tragically died just 10 days before Young Boys’ historic title win last season, with the squad attending his funeral as champions – becoming disillusioned by pumping millions into the club and continually finishing second. Former Swiss international and Frankfurt captain Christoph Spycher became the new sporting director, just two years after hanging up his boots. Spycher was astute from the start, stressing he wanted to bring continuity above all. He reassured the club’s eternally hopeful fans that he wanted to be in Europe and retain veterans like Von Bergen and former France and Paris Saint-Germain centre-forward Guillaume Hoarau. 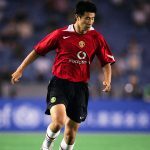 Their experience would complement a strategy focused on offering promising youngsters a shop window to display their talents to bigger clubs in bigger leagues. Hütter’s devotion to pressing had seen him take a small suburban club from Salzburg – SV Grödig – into third place in the Austrian Bundesliga in 2014 and a Europa League qualifying spot. He then used it to take Red Bull Salzburg to the Austrian title the following year. As Young Boys raced to the 2017/18 title, it was clearly a tactic being deployed well. It would take time, and a few tweaks, to pay off, though. The second of Hütter’s three seasons at the Bern club saw them take the same number of points as the previous season – 69 – and finish an even more imposing 17 points behind Basel. Off the pitch, the lucrative €12m sale of then 20-year-old Denis Zakaria in the summer of 2017 to Borussia Mönchengladbach was a sign that the youth development focus might be working. On the pitch, things looked hopeful at this stage – but not excessively so. Young Boys had squandered a two-goal lead to be knocked out on penalties at home to second-tier Winterthur in the quarter-finals in the Swiss Cup in March 2017. 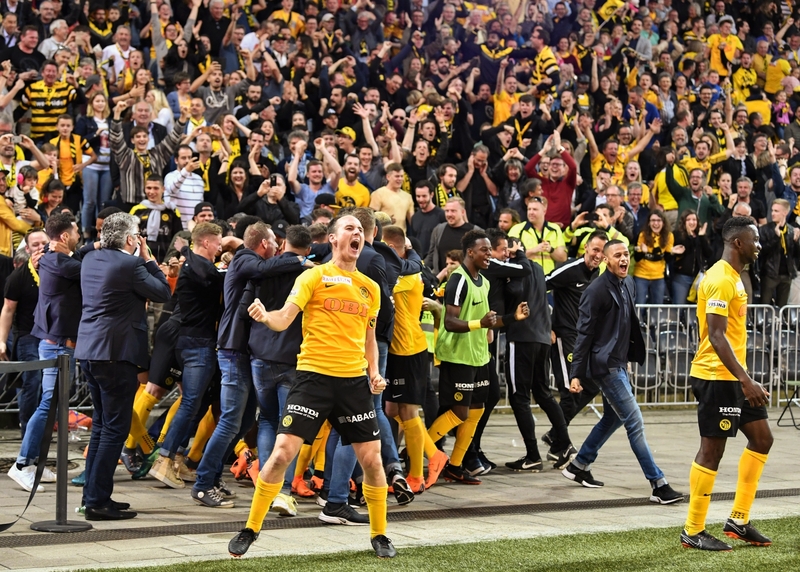 It was the kind of defeat that could happen in any cup competition, but for followers of Swiss football, and Young Boys fans desperately eyeing their first silverware in over 30 years, it was the kind of calamity that could only happen to one team. Calls were even made in the Swiss media for Hütter to lose his job. The manager, who cuts the figure of a man immune to any form of panic, apologised to the fans and continued to work with his players. That 2017/18 season was nothing short of heroic for Hütter and the long-suffering fans. A few new signings arrived in the summer – most notably midfielder Djibril Sow and attacker Jean-Pierre Nsame, who would go on to score the goal that sealed the league title – but the team largely remained unchanged. It was every bit the collection of hungry and ambitious players Spycher and Hütter had wanted, thanks in large part also to the work of legendary former Swiss international Stéphane Chapuisat as head scout. Chapuisat helped Young Boys to secure a number of promising talents from the French-speaking part of Switzerland, a region that has no lack of talent but whose clubs have struggled to compete at the top of the domestic league in the modern era. The young trio of Nsame, Pedro Teixeira and full-back prospect Jordan Lotomba were signed from Servette, Xamax and Lausanne respectively. Around a third of the squad was nurtured in the club’s own youth ranks – including first-choice goalkeeper David von Ballmoos and centre-back Gregory Wüthrich – a dependable partner for 35-year-old Steve von Bergen. This old hand-new hand combination is repeated in centre midfield with Sow, a 21-year-old signed from Borussia Mönchengladbach, being partnered by 29-year-old Sekou Sanogo. Oliver Zesiger, Football Manager’s co-head researcher for Switzerland, told These Football Times that Sow is one of the team’s standout talents: “Sow is exceptionally quick for a central midfielder. He has a good pass and a magnificent strike.” Zesiger expects the youngster, who made his debut for the Swiss national team as a substitute in their recent 6-0 UEFA Nations League win over Iceland, to be a future transfer target for some of Europe’s bigger names. Sanogo’s sharpness and consistency has, meanwhile, made him Young Boys’ most important player in recent seasons. His three substitute appearances for Ivory Coast illustrate the kind of talent yet ambition for more found across the squad. The defence and midfield have provided a solid base for an attack that dazzled at times in the title-winning season as the club scored 84 goals. It is well-varied, featuring the hard-working Christian Fassnacht, a tidy finisher who usually starts on the right wing, and Miralem Sulejmani on the other flank, a Serb dead-ball specialist, formerly of Ajax and Benfica, who smashed in three direct free-kicks during the title-winning season. Young Boys’ first-choice forward line sees Hoarau, the French target man with a real poacher’s instinct, partnered by Roger Assale, a short and sprightly developing attacking force signed from TP Mazembe in the Congolese league. Assale left many defenders perplexed with his mazy dribbles during the club’s march to the title, most spectacularly in waltzing past two opponents before firing the ball in from 25 yards out in a 6-1 win over St Gallen. Zesiger says Assale’s pace makes him a promising choice as an impact player for a bigger club in the near future. Hoarau is loved in Bern for being as much of a presence off the pitch as on it. He has played a significant part in the local music scene as a keen singer, covering Bob Marley on stage at a local festival, Bruno Mars at the Swiss Football League awards, and most impressively, in this writer’s view, duetting in a folksy number with Oli Kehrli – a Bern chansonnier star. A pair of Cameroonians, Nsame and Moumi Ngamaleu, have proved to be highly effective options too in the attacking third. Nsame is particularly notable for his powerful shot and slick technique, which shone in a stunning backheel flip finish away at Basel last season. There is no doubt, though, who the joker in the well-shuffled attacking pack is. Right-back Kevin Mbabu found himself back in Switzerland in 2016 having failed to make a breakthrough at Newcastle, despite earning plenty of praise in one of five appearances at the club under Steve McClaren in bossing Pedro in a 2-2 draw with Chelsea. Mbabu is prone to leash marauding runs upfield that can leave opposing defences well and truly stung. His highlights reel of last season includes turning a Basel defender on the touchline before roaring inside and cutting back to Nsame to equalise. Any ‘Best of Mbabu’ clips of this season are already guaranteed to be even more spectacular. The 23-year-old, who earned his first cap for Switzerland against Iceland, didn’t just rise up to the occasion in one of the biggest games in Young Boys’ history – the first leg of their decisive Champions League qualifier against Dinamo Zagreb – he well and truly rocketed up, smashed the occasion into pieces and reflected at how twee and pretty it seemed when looking down from the stratosphere. The full-back banished any nerves among the team with a stunning goal in just the second minute that saw him burst with the ball out of his own half and trick his way past three defenders before laying it out wide and tucking it into the net after receiving a cut-back from Ngamaleu. Zesiger says Mbabu is “too good for the Swiss Super League” and expects him to leave in the January transfer window. He reckons he is ready to make the grade at a mid-table club in the Premier League or Bundesliga. The fever that greeted qualification for the Champions League was the second outbreak of euphoria for Young Boys’ fans within months. In the days following the draw for the group stage, around 2,000 season tickets were purchased by fans hopeful of gaining priority for the three home ties. At a cost of 25 Swiss Francs – currently just under £20 – for group stage tickets, the club is making a notable effort to reward its fans for their loyal backing. Thirty-nine-year-old Gerardo Seoane was a surprise pick to succeed Adi Hütter as coach in June. Guiding Luzern to third place in the Swiss league last season in his first full management job was a solid achievement, but not necessarily a sign of a coach ready to take on the Champions League. 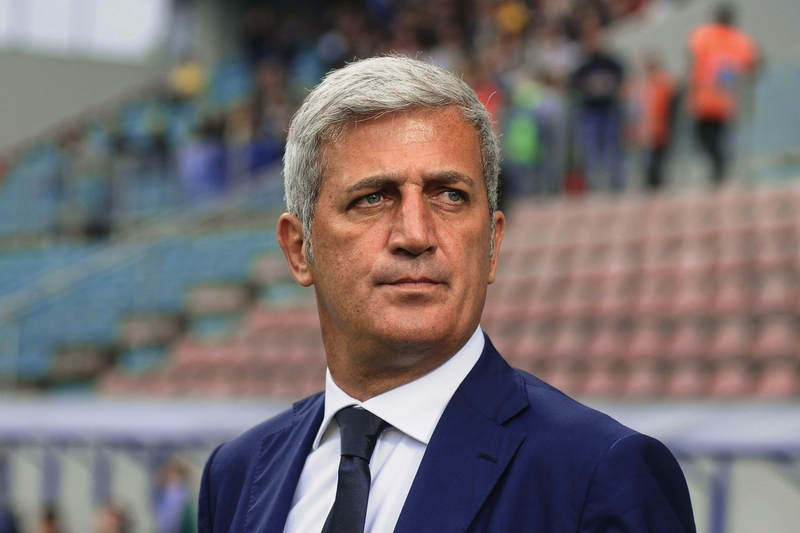 Seoane had one key thing in his favour – he promised the continuity the backroom prioritised above all, and he duly pledged to continue with Hütter’s playing style. While the club strives for continuity, it was thrust into new territory with a Champions League group stage. In competing with Manchester United, Juventus and Valencia, there has been an expectation Young Boys might get to feel exactly as their club name suggests against the experienced giants. Zesiger says four points from their six group stage matches would be a very pleasing return. Young Boys’ fan Christian Schneider told These Football Times: “The away games will be very tough and there could be some ugly results for us.” Their hopes of a surprise or two were limited to the home matches at the start of the group stage. An extra dollop of home favour in Europe is undoubtedly provided by the artificial pitch at the Stade de Suisse. José Mourinho called it after the group stage draw “a big advantage for them and a big disadvantage for the other teams.” The surface certainly caused a stir on Tottenham’s visit in a 2010 Champions League qualifier, with manager Harry Redknapp saying the pitch should be banned in the competition. A Young Boys spokesperson says the pitch has been replaced and updated several times since then to match advancements in technology. They pointed out the club require an artificial surface to meet the demand of holding most training sessions at their stadium due to a lack of other spaces in the Bern area. Should any of their opponents not be at their best in the Swiss capital, Young Boys have the talent and purpose to make them pay. Whatever happens, there is an overriding sense that the club will enjoy being the only team to carry Switzerland’s red-framed cross at European football’s top table this season. Winning the title and being in the Champions League isn’t quite the fairytale story for Young Boys as that of nearby Thun making the 2005/06 group stages. It is a proud club that reached the European Cup semi-final in 1959 and whose stadium has hosted a European Cup and World Cup final in its former guise. The nightmare is well and truly over, though, for their resilient fans. As they get treated to seeing their club pit themselves against the world’s best this autumn, they can breathe a big sigh of relief and enjoy the simple fact they can’t possibly Young Boys it up now.